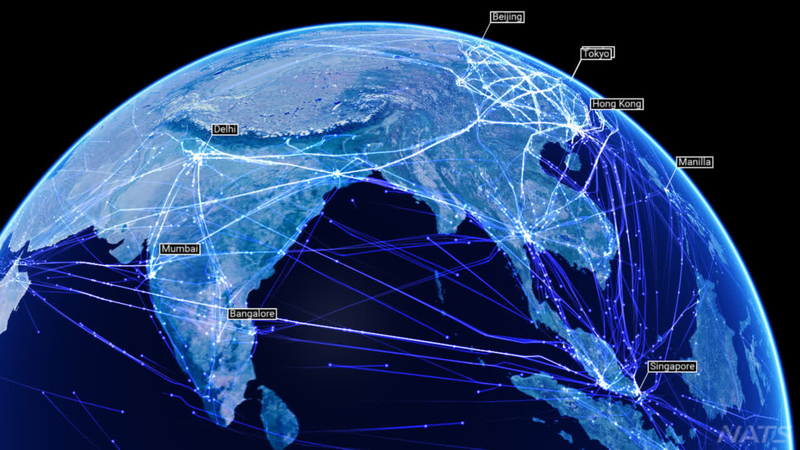 There is no doubt that Big Data analytics is impacting air traffic management. Analysis of global data combined with operational insight and best practices can now be used as a real advocate for change, whether that is at major international hubs or across networks. Airlines are continuously seeking to improve their operational efficiency and to drive down costs – particularly with respect to carrying excess fuel, airport delays and taxi times. Having better access to and, importantly, sharing Big Data from multiple sources will help airlines better understand how they compare to their competitors in terms of flight efficiency, flight planning, reacting to disruption and airport delays. Previously, high value data and insights have been hidden inside the systems of other stakeholders such as ANSPs and airports and this has not transparent to airlines. In addition, the airlines themselves have held a singular view of their own data and performance and are often unable to compare this against others. This data is typically stored and managed within specific vendor platforms and airlines find it difficult to own and connect the data together. Furthermore, creating dedicated databases and paying for bespoke data services has been cost prohibitive for all but largest airlines. These barriers are now being broken down thanks to advanced technology as well as commercial agreements and crowd sourcing that ensure data can be shared to improve decision-making. Airlines now have access to real-time data through cost effective, secure and reliable cloud hosting services which don’t require capital expenditure or complex system integration. During NATS’ presentation at the IATA Conference in Seoul in April, we explored three scenarios to show how real-time data can help airlines improve flight efficiency. Firstly, we shared how an airline carried an additional 550kg of fuel in anticipation that it would need to fly at lower altitudes. By analysing actual flown data versus the ATC flight plan over the previous six months, the airline was able to unlock valuable insights that the plane was no longer flying at lower altitudes. A key benefit of applying this analysis is that flights can be made more energy efficient by changing the flight plan and fuel carried, which can save both emissions and costs. In the second scenario, we explored how an airline carried more fuel than needed to cover its network. Again, by using data comparing the actual flown route versus the flight plans, we identified that the airline was planning for extra mileage that wasn’t necessary based on its actual flown track. This analysis enables adjustments to flight planning to increase route efficiency and reduce fuel consumption over the whole network. Lastly, we shared how airlines can harness the power of real-time data to assess their flight time and on-time arrival performance against other operators. By analysing their actual flight times against others on the same city pair, as well as the total taxi time allocated within a block time, we were able to identify performance gaps, to help the airline adjust its schedule and thus improve its on time performance. We can go even further in our analysis of Big Data to uncover competitor insights on flights delay performance, 2D route performance and flight efficiency. All of these scenarios demonstrate how real-time data can help us to improve the service we offer airlines, helping them make better use of airspace, further improving safety, reducing environmental impact and saving fuel, time and money. But NATS believe this is just the start and that there are vast opportunities for airlines to gain valuable information from ANSPs and airports to help them dynamically plan their operations. For more information on how NATS is leveraging data to enhance air traffic management, please visit our website.